Performances will feature an eight channel system surrounding the audience to reconfigure the gallery as an immersive listening space. 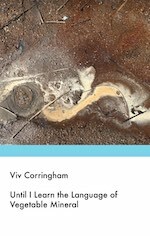 Artists in the series include Ain Bailey, Caroline Bergvall, Kate Carr, Viv Corringham, Poulomi Desai, Caroline Devine, Lisa Hall and Hannah Kemp-Welch, Cathy Lane, Lina Lapelyte, Brona Martin, Else M’bala and Karen Power. I’ll be playing with Monkey Puzzle Trio- myself, (ex This Heat) Charles Hayward, and Nick Doyne Ditmas. Tickets free but going fast! An eclectic programme of field recordings, noise and drone music from this local independent label. “Until I Learn the Language of Vegetable Mineral”. Also playing: Me, Claudius; Smallhaus: Fari B & Christopher John Weaver; Paula Garcia Stone & Sue Lynch. I’ll be spending the whole of March in Venice, invited back for my second artist residency by the Emily Harvey Foundation. I’ll be making a new work based on Pauline Oliveros’s walks while she was on an EHF residency with her partner Ione, who is currently helping me with descriptions of their favourite places in Venice and sharing visual documentation. This new piece will be premiered in April in a performance by Zeitgeist New Music Ensemble with me in St Paul, Minnesota, as part of the Zeitgeist Early Music Festival, which this year celebrates Pauline Oliveros. I’ll also be running a Deep Listening workshop while I’m there. 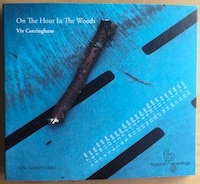 My new CD “On The Hour In The Woods” is out on Farpoint Recordings.